How is this possible?! One in a million chance! I recently came across a short video in which a strange case occurred during a car race. It appears to show one of the cars experiencing a mechanical failure with a tire becoming unattached from its wheel rim. After the driver pulled over, the tyre continued to roll down the track with the other participants in the race. 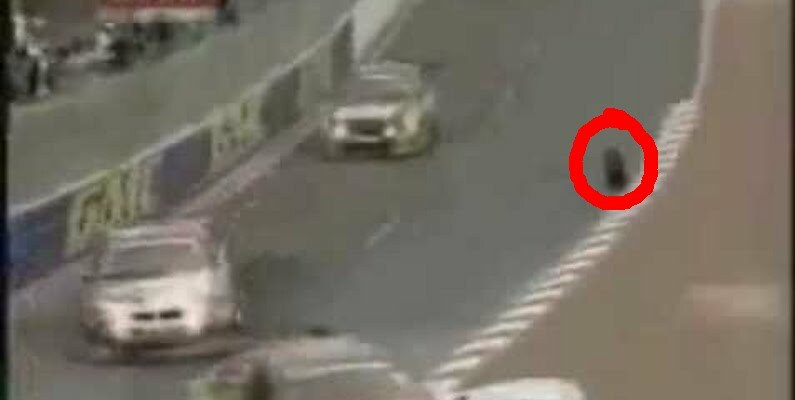 Instead of smashing into the tire fence, which marked the track’s turn, it rebounded and landed on top of the fence constructed from white tires. The amusing result was a one in a million chance! However, watching the short video again, I spotted something else. The tire didn’t fall from the car which was pulled over, but appeared quickly from behind the car, as if from thin air! People, commenting on the funny clip say it was a fake. Nevertheless, this odd case in which the black tire landed right on top of the white ones will still amuse audiences. 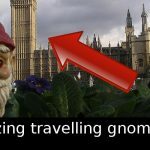 Next article The amazing travelling gnome pranks! The amazing travelling gnome pranks!